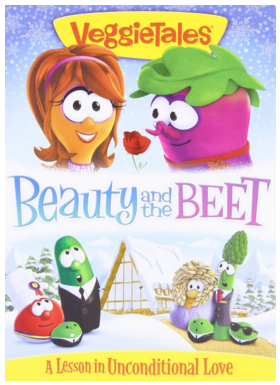 Veggie Tales: Beauty And The Beet Just $9 Down From $15! You are here: Home / Great Deals / Amazon Deals / Veggie Tales: Beauty And The Beet Just $9 Down From $15! Here’s A Lesson in Unconditional Love by Veggie Tales: Beauty and the Beet for just $9 down from $15 on Amazon! Get yours now while it lasts! Mirabelle and her traveling family band, the Veggie Tones, are determined to make their next gig at Vegetable Square Garden. On their journey, a fierce winter snowstorm hits, and the family gets stuck at a run-down resort! Mr. Beet, the grumpy manager, makes them sing – and clean – for their supper. Why is Mr. Beet such a beast? And can Mirabelle s kindness change him? Find out in this hilarious and heartwarming tale of unconditional love!